Bravely Second: End Layer is a sweeping adventure through Celtic myths, pirate legends, and science-fiction fairy tales. It’s an ambitious amalgam, and in other cases, might approach overkill. 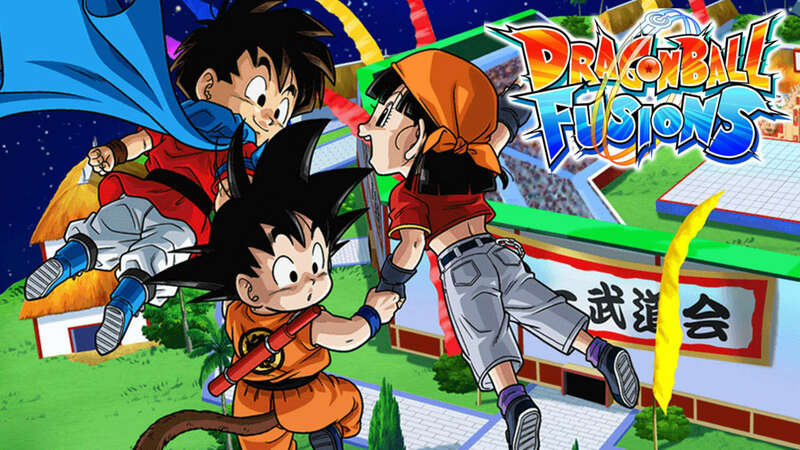 But while poor writing and forced plot points impede this journey’s momentum, its vivid world and sleek combat are strong enough to overcome the weight dragging it down. As the sequel to 2012’s Bravely Default, End Layer returns you to Luxendarc, a land of arid deserts and snowcapped mountains. Throughout your travels you’ll upgrade four characters, engage in turn-based combat, earn new specialist classes, and prevent the world from crumbling around you. The story serves mainly as a means to pull you between Luxendarc’s locales, offering new macguffins on a whim as you navigate class struggles and solve a variety of political disputes along the way. At first, End Layer’s variety is suspect: It’s hard to tell whether it’s a wild western, medieval journey, or dystopian sci-fi drama. But after several hours, it’s clear the game is using the gamut of genres to introduce aesthetics and characters just for spectacle’s sake. At this point, I’m content to let it unfold, curious as to what I’ll see next. During one sequence, you find a noblewoman starving in a seaside hut, make your way through a medieval battlefield, and stumble out the other side upon a festival of lights in a warm, lamplit city. This all happens in under an hour. End Layer’s characters function mainly to push the plot forward. End Layer’s characterization and dialogue don’t reflect the same ambition, though. In fact, its main character, a young cavalier named Yew Geneolgia, is cloying from the start. His catch phrase–“Go for the Gravy!”– interrupts emotional silences. His reactions to plot twists are rarely believable. His optimism and candor remain static throughout, never drawing any real meaning from his sense of innocence and naivete. Few of End Layer’s characters display much dynamism, but Yew is the embodiment of the poor writing choices that drag the adventure down. End Layer also breaks the fourth wall several times throughout, often during pivotal plot moments, and it feels forced every time. These meta moments, which I won’t spoil here, are interesting concepts on their own–but the story doesn’t earn them. They cheapen what little drama the writing already struggled to impart. While End Layer’s narrative fails, however, its combat succeeds. The turn-based title brings back the Brave and Default system established in its predecessor: by defaulting, each character enters a defensive stance and saves up brave points, which allow them to use multiple actions in one turn. Do this without defaulting, though, and you’re useless for the next several turns. End Layer benefits from this risk/reward system much like Bravely Default did: there’s an inherent tension when choosing between careful defense and all-out aggression. There’s an inherent tension in choosing between careful defense and all-out attack. 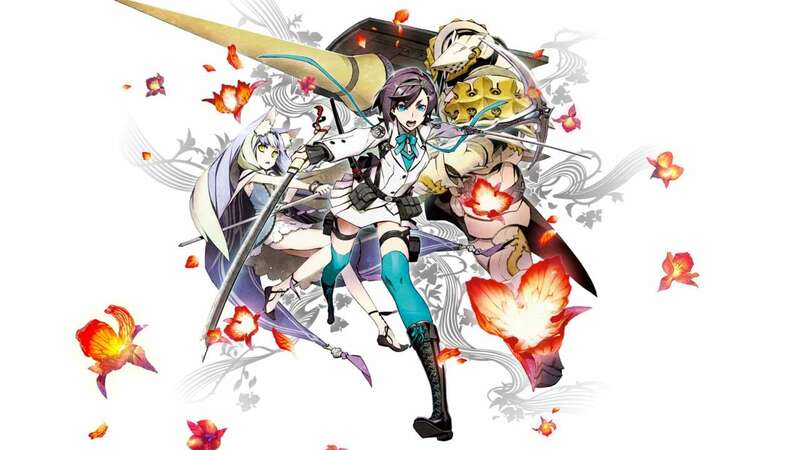 The now-eponymous Bravely Second ability also reprises its combat role. The mechanic allows you to stop time, granting one character an extra action during that turn, further increasing the possible ability combinations against your enemies. It’s especially useful against tougher bosses, where each turn carries more weight than it might otherwise. All of this combat is built on the franchise’s recurring Job system. 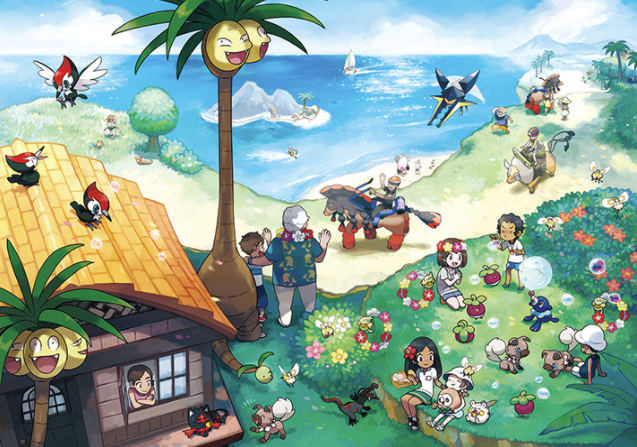 Jobs, and the array of possibilities surrounding them, are Bravely Second’s lifeblood. As with the game’s varied locales, its class system borrows from a plethora of genres–there’s a templar; there’s an exorcist; there’s even a cat-person. There are 30 jobs in total and each character can equip two at a time. By joining the passive abilities of one with the active attacks of another, you create your own disparate sub-classes to further your goals. End Layer’s class system is as much about experimentation as it is execution. Luxendarc’s cities display a gorgeous, water-color style. Throughout my journey, I defaulted often with my Bishop in order to heal my whole party in one turn. Furthermore, I used that character’s secondary Wizard abilities to spray a healing mist over his allies–even without further input, they gained health on their own as I focused more on the offensive. I buffed the best fighters with my Red Mage, Braved four times, and used their Ninja, Fencer, and Swordmaster powers to finish off my enemies. And this was only one isolated battle. Actually acquiring each of these Jobs, however, leads to problems in End Layer’s structure. Although many classes are unlocked through the main storyline, some are tied to optional side quests that pit two NPCs against each other. By choosing sides in the conflict, you opt to fight the opposing character, thereby gaining their job for the remainder of the game. This is conceptually intriguing. But it often creates situations where the job you want is at odds with the character you agree with. 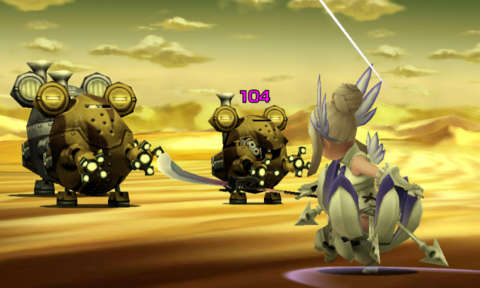 In this case, End Layer’s story clashes with its gameplay. More than once, I sided with the distasteful character, despite my best intentions: “She had the Summoner class I wanted,” or “Her Ninja abilities would compliment my Wizard well.” These are the things I tell myself. End Layer’s pacing is constant throughout–a far cry from the latter half of its predecessor. Without spoiling too much, Bravely Second does allow you to retrace your steps in order to collect every job title in the game’s latter half. But the dissonance of the earlier side missions halts the momentum of the globetrotting plot. On that note: the sequel’s late-game hours are far more enjoyable than those of its predecessor. The pacing is constant throughout, and you witness different areas from those of the first half–it’s a far cry from the backtracking and tedium of Default’s waning chapters. Several minor adjustments also compliment Bravely Second’s late-game pacing. The Consecutive Chance ability lets you continue a fight with another wave of enemies, so long as you killed the first in one turn. The more waves you chain together, the higher your experience multiplier climbs. The mechanic seems banal at first, but when the grind starts, and you’re teaching each character a new Job, it’s a welcome addition that keeps you in the fight and rewards your intelligent combat choices. Jobs are the lifeblood of End Layer’s combat. There’s also the option to preset your Job configurations to save your favorite party arrangements. Rather than reassigning everyone’s abilities before every difficult boss fight or new area, you can just select one of the presets to expedite the process. 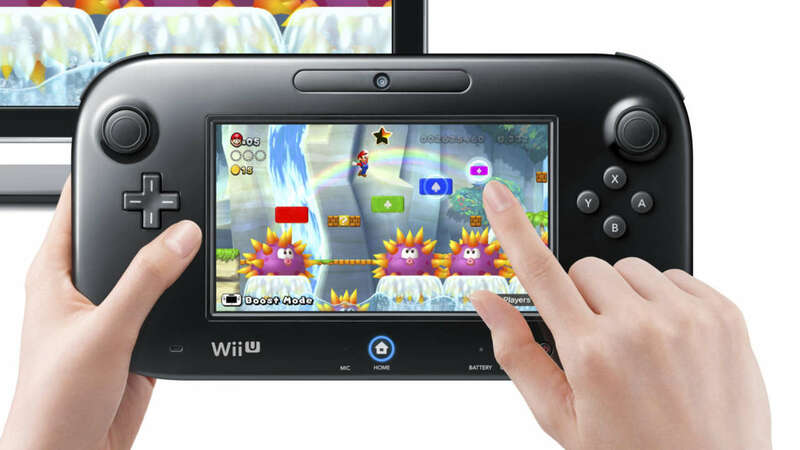 It removes the tedium and saves you a handful of hours you might otherwise spend in the menus. 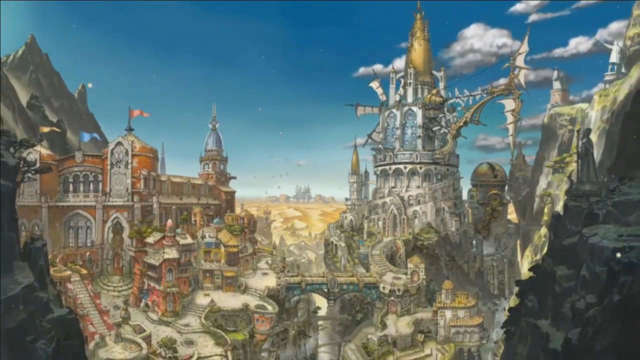 Despite End Layer’s late-game improvements, and the variety of locales on display here, it’s worth noting how familiar the sequel can seem as a whole: for large chunks of the game, you’re revisiting the same cities and dungeons as those from Bravely Default. And the combat, despite its sleek design, doesn’t make any major improvements on the well established formula. These complaints don’t affect the game’s overall quality, but considering the time the first installment took to beat, End Layer imparts a sense of deja vu more often than I prefer. One could argue it feels more like an exceptional expansion than a true sequel. 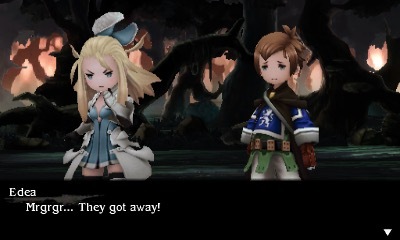 But in the end, Bravely Second transcends the limitations that its poor writing and redundant storyline create. It’s a grand adventure in every sense of the phrase, whisking you across exotic environments and satisfying your curiosity every step of the way. It has its restraints, but as the story closes on the plains of Luxendarc, Bravely Second’s grasp more than matches its reach.